It was an early Saturday morning – but instead of sleeping in, this group of volunteers was at the Northgate Community Cabins bearing green thumbs, elbow grease, and good will to spare. 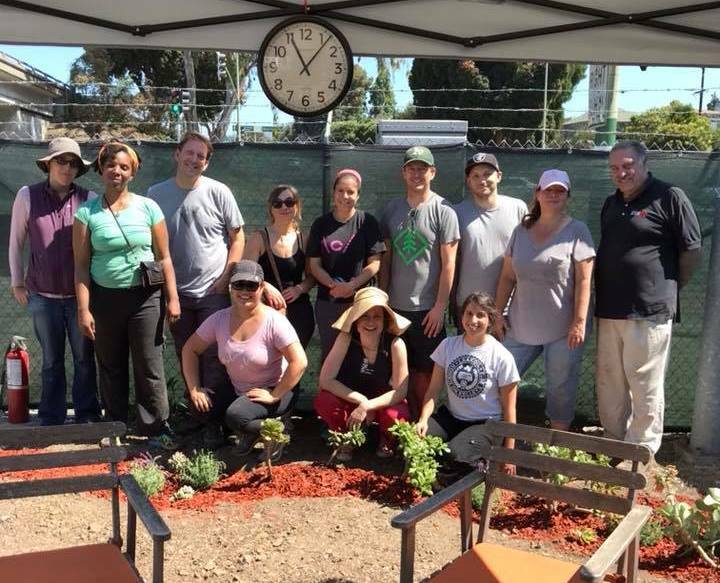 The volunteers – organized by local nonprofit The Plant Exchange – came to this site to put in a beautiful garden just inside the front gate. Operation Dignity manages the NCC in partnership with the City of Oakland to provide low-barrier shelter and services to people coming from encampments. The intrepid crew turned the earth, added compost and new soil, and planted succulents and other drought-resistant plants. They even put up a few lawn chairs for residents to enjoy! We were so pleased to welcome The Plant Exchange and these volunteers, and to have this lovely garden to greet residents. Thank you!